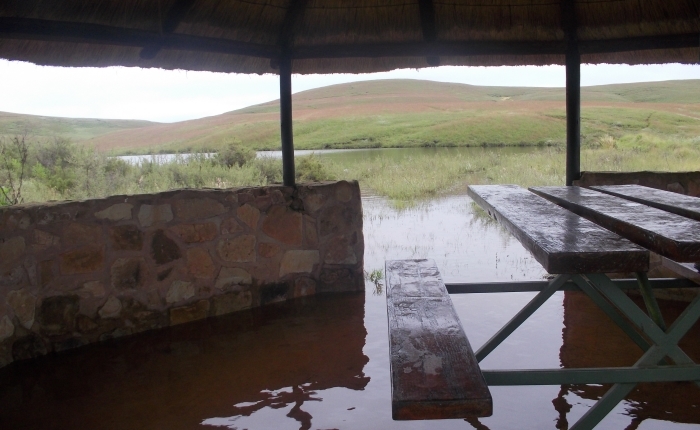 There are eight camping options within Ezemvelo KZN Wildlife, each has its own unique charm and reason why you would want to camp here. While many have a favourite camping destination, some of us have never tried camping or may have tried once and not enjoyed it. So why should you go camping and why do some of us love camping so much? The answer is simple, it's the memories. As a teenager it's the memory of going on this big adventure with the folks who are so excited, (maybe not mom as much but who to this day fondly treasures the memories with her children) it's seeing the pack of marshmallows your mom packed and it's the time spent with your folks in an environment outside of normal daily life, you really do have moments of connecting with your parents. It's the stolen bottle of sherry you as a teenager shared with your friends and cousins in your tent at Injisuthi with the adults in the text next door in the middle of winter, a memory that connects you all. It's learning about the stars and night photography from your eldest cousin, the start of a life-long passion for photography. It's the time spent with parents, uncles and aunts on a day hike while camping, getting very lost and having to scramble down what then seemed like a large mountain (which is small in hindsight). My dad to this day is reminded of this trip by my aunts every time they see him. As a young adult it's the excitement of preparing, organising and having a braai and beer or glass of wine with your friends at Monk's Cowl while the sun sets, an experience you will always remember. It's the memory of the time the hail came down on the first afternoon in Highmoor, shredding one of the tents and everyone coming together to help fix the tent and offer (not always good) advice. It's the memory of breaking your toe while playing soccer with your children and still going out on a day hike the next day (not as fast as usual) to everyone's amusement. It's the morning sunrise with a cup of coffee, sometimes by yourself and often with your loved one, a moment that's never forgotten. It's the cold showers in the morning when the gas stops working, how awake you feel afterwards! All of these and many more camping experiences make irreplaceable memories which connect you with your children and wife and stay with you forever. Go out there and give it a try with your family and friends and you will all create a treasured memory to value forever. All the Ezemvelo KZN Reserves can be viewed here. Starting at the Bushman's Nek Office, where you fill in the mountain register. You pass the South African border post and then cross the stream twice and turn right (if you go straight you are heading towards Tarn Cave and would cross the stream a third time) thus walking with Bushman's River on your right. To your right on the other side of the river you will see Bushman's Nek Hut as you walk along a slightly upward path. After 300m where you turned right after the 2nd river crossing the path has two options, straight ahead which takes you to Bushman's Cave and left up the hill in front of you, this is your route, turn left and start up the hill. After climbing the 1st hill the path flattens out for a short breather, then up the next hill. The path is visible all the way as you wind up this hill on the left-hand side. At the top you have now done 3.2km, the views start to show themselves all around you. A nice flat section is next and then up the next hill. You are heading in a West / North West direction all the way from here until just before Thamathu cave. The gradient over this next hill is pretty similar to what you have already climbed. At 5.8km (you only have 1.1km's to go) the path again has two options, a short steep uphill (this path is not well defined) of about 150m uphill or to continue straight along the contours of the hill you are on. Both will get you to Thamathu cave. Choosing to go left and up the hill now means that after this uphill the rest of the hike to the cave is along the contour path. Choosing to go straight at this point seems easier but your last 300m will then be uphill to the cave. The choice is yours. This is a great family day hike (kids over ten). Enjoy your lunch and stunning views from the cave. Arrive with family and friends, leave Lake Naverone with family you are friends with, and friends who are family. 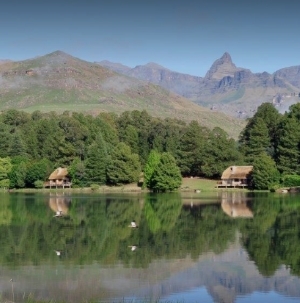 Located on the foothills of the Southern Drakensberg, Lake Naverone Holiday Cottages is set on large estate with two lakes and 7 km of river frontage. It offers picturesque stone cottages with magnificent views. The cottages are fitted with a stove, microwave, fridge, a well equipped kitchen and patios with lovely views. Some of them are situated at the lakeside. Each cottage comes with a rowing boat to venture out on the water. Drakensberg Hikes is your information resource about the Maloti-Drakensberg Park which showcases the beauty of the Drakensberg and provides information about hikes, accommodation and activities. You can browse passes, peaks, caves or valleys you would like to visit next and contact the service providers via their personal contact forms on the website. Follow our Facebook page, Instagram page and Twitter page for regular posts featuring current images and information from our own hikes and fellow hikers who contribute to the pages. If you would like to be an acknowledged contributor, send your images, blog articles or any other information to us via an email: info@drakensberghikes.com , TAG our instagram account or TAG #drakpix using Instagram and stand a chance of being featured. 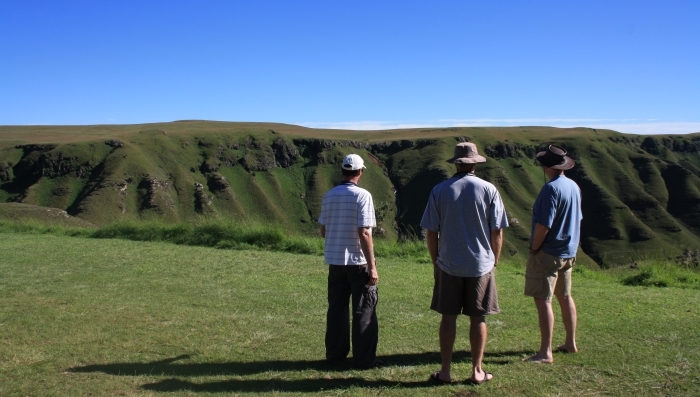 Advertise here or hit reply to chat about collaborating with Drakensberg Hikes.